Some 45 observers from the OSCE Parliamentary Assembly will deploy to Moldova for the 24 February parliamentary elections. OSCE PA President George Tsereteli (MP, Georgia) will serve as Special Co-ordinator and leader of the short-term OSCE observer mission, following an appointment by the OSCE Chairperson-in-Office, Slovak Foreign Minister Miroslav Lajcak. President Tsereteli has led numerous OSCE PA observer missions in the past, including in the United States, United Kingdom and Germany. “Having experienced its share of political instability and gridlock, Moldova is for the first time holding parliamentary elections under a new mixed electoral system. Ensuring that these elections meet international standards and enjoy the trust of the Moldovan people is of utmost importance,” said Tsereteli. President Tsereteli conducted a pre-electoral visit to Moldova last month, meeting in Chisinau with President Igor Dodon, President of Parliament Andrian Candu, Prime Minister Pavel Filip, Foreign Minister Tudor Ulianovschi, Chairman of the Democratic Party of Moldova, leading members from extra-parliamentary parties, and representatives of civil society and the international community. Tsereteli has appointed OSCE PA Vice-President Kari Henriksen (MP, Norway) to lead the OSCE PA observer delegation. Vice-President Henriksen has extensive experience in politics in her home country and as an election observer with the OSCE PA.
“The changes to Moldova’s electoral system could have a far-reaching impact on issues as diverse as women’s participation, campaign finance and constituency delimitation. We look forward to seeing how these reforms are implemented and offering a full assessment based on our observations,” Henriksen said. The OSCE Office for Democratic Institutions and Human Rights’ election observation mission is headed by Matyas Eorsi, a former Member of Parliament in Hungary. It consists of 11 international experts based in Chisinau and 28 long-term observers deployed throughout the country who will be joined by an expected 200 short-term observers. 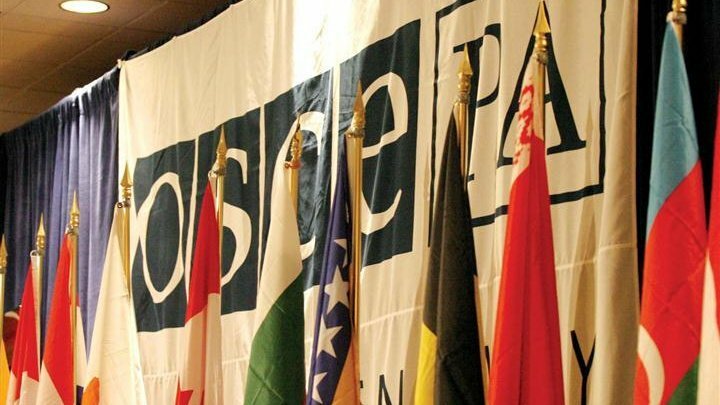 OSCE PA observers will be deploying throughout Moldova, along with OSCE/ODIHR observers, observers from the Parliamentary Assembly of the Council of Europe and the European Parliament. It is the 11th time for the OSCE PA deploying election observers to Moldova since 1994. The elections will be assessed for their adherence to democratic commitments laid out in the OSCE’s Copenhagen Document of 1990. Preliminary findings and conclusions of the election observation mission will be presented at a press conference in Chisinau on 25 February.